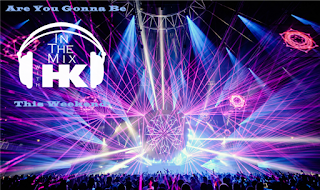 IN THE MIX WITH HK™: NEW HITS, MASHUPS AND MORE OF LITTLE MIX IS A BIG REASON TO PARTY! This weekend In The Mix with HK™ has your all access pass to party! I’ve got exclusive HK remixes all cued up on new hits from Jason Derulo, Imagine Dragons, Flo Rida, Axwell & Ingrosso, Martin Garrix and Dua (I am LOVIN’ her voice) Lipa. Speaking of killer voices, the ladies of Little Mix will be in the house for Part II of our exclusive interview. We're talkin' about the free stuff stars get, fans and more. Also on deck is a couple wicked mashups! One of Rihanna and….well, you just gotta tune in and get ready to turn up the volume.